Time for another article, this time on the Native Receiver issue which gave me a lot of pain, was resolved by tweaking a simple setting. We had users reporting issues connecting to the Storefront store using native Receiver. 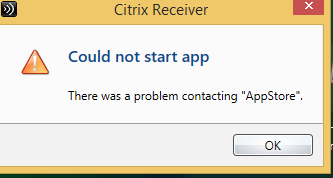 The Receiver version was 4.1 running on Windows 8.1. The issue was random and a lot of times, the issue resolved itself after a few tries. One of the workaround for us was to get the users to connect to the Storefront via a web browser and that worked flawlessly. 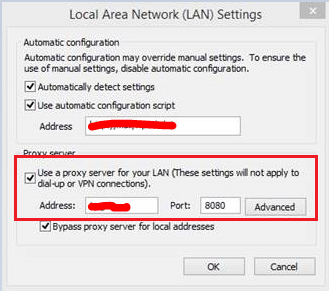 The issue was later identified with the Internet Explorer proxy settings – the users reported issues had a different proxy server set due to some other special access requirements and hence gave the errors every now and then. In my case, the issue was the proxy server entry highlighted in red box. There could be other reasons why this error message occurs – Storefront connectivity, Storefront services issues etc but remember to check this as well and it might save you a lot of time.